Seatbelt wearing saves over 2,000 lives every year. Everyone knows they should wear a seat belt in the front seat, but many people still don’t realise how dangerous it is not to wear a seat belt in the back. In a crash at 30mph, if you are unrestrained, you will hit the front seat, and anyone in it, with a force of between 30 and 60 times your own body weight. This could result in death or serious injury to you and people sitting in front of you. 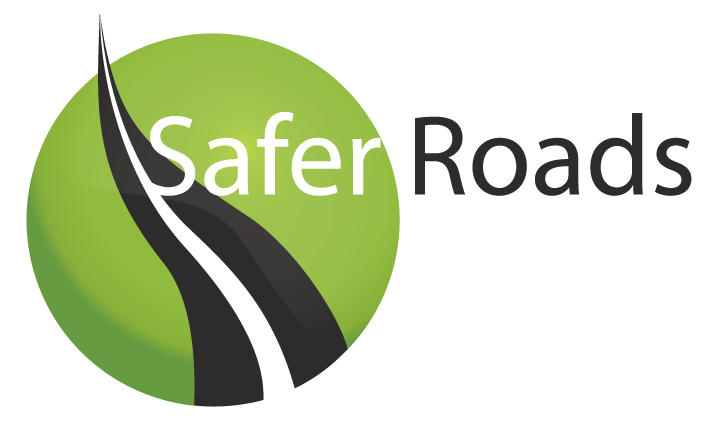 If you have been given a ticket you can go to seatbeltsafe.com to sign up to the seatbelt safe scheme. The course costs £25 insead of a £60 fixed penalty fine. In 1983, front seat belt wearing regulations for drivers and passengers (both adult and children) came into force. In 1989, wearing rear seat belts became compulsory for children under 14. In 1991, when it became compulsory for adults to wear seat belts in the back of a car, there was an immediate increase from 10 per cent to 40 per cent in observed rear seat belt wearing. For your own and others’ safety, the law requires you to use a seat belt in all motor vehicles if one is fitted and for children up to 135cms in height to use a child restraint. The law is summarised in the table below. What are the seat belt wearing rules in mini-buses, buses and coaches? Seatbelt wearing is already compulsory in minibuses under 2.54 tonnes unladen weight. If available, an appropriate child seat must be used in these vehicles but there is no obligation on anyone to provide them. Note the new obligation to notify passengers that seat belt wearing is compulsory – see below. Seated passengers aged 14 years and above must use seat belts where they are fitted in all buses and coaches. Children up to 13 years should use a child car seat if one is available and suitable. If there is no suitable child car seat they should use the belt provided. The operator is not required to provide a suitable child seat. A sign prominently displayed at each passenger seat equipped with a seat belt. An “official announcement” means one by the driver, by a conductor or courier or by a group leader of any passengers on the vehicle. A sign that takes the form of a pictorial symbol must be in the agreed form depicting a white figure on a blue background – see link to letter below for the design. Every year, over 10,000 children are killed or injured while travelling in cars, this is a worrying fact and one that needs to change. The use of high quality, well fitted safety restraints can and will reduce these numbers. Make it theirs – Take your child with you when you buy the seat. Get them to choose the colour/pattern they like best so that they have ‘ownership’ of the seat. Explain why calmly – Explain to your older children why they need to sit in the seat. Don’t frighten them with horror stories explain to them logically and calmly that it will help them be safe. That it will stop them bumping their head or hurting their legs if there’s a sudden stop. Routine – Simply make it part of the ‘getting in car’ routine. Children like routine and repetition, it makes them feel secure, and simply treating it as something normal and unsurprising will help them get in the seat without thinking about it. Make it a fun checklist, “Daddy seat belt – check! Mummy seat belt – check!”. Travel treats – Put together a special ‘travel pack’ that goes with the seat. Put a drink, a book, crayons and a puzzle book or whatever your child enjoys playing with on car journeys. Name it! – Get your child to name the seat! He will be happier to sit on ‘Henry’ the seat if it’s a name he has chosen. Jean Birtles from Top Notch Nannies. Some older children might have been using adult Seat belts already and won’t be keen to go back to using a booster cushion. Our experts at Norland College, who have been at the forefront of childcare since 1892, offer their advice on how to encourage older children to use car restraints. Explain to the child that the seat isn’t a car seat / booster seat, which they used to have to use when they were younger, but that it is the right equipment to enable them to wear an adult seat belt safely. Try comparing the protective clothing worn by one of the child’s role models (e.g. footballer, racing driver) to keep them safe, with the equipment in the car which keeps the child safe. For more information on Child Seats & the Law you can down load the DfT’s leaflet using this link.